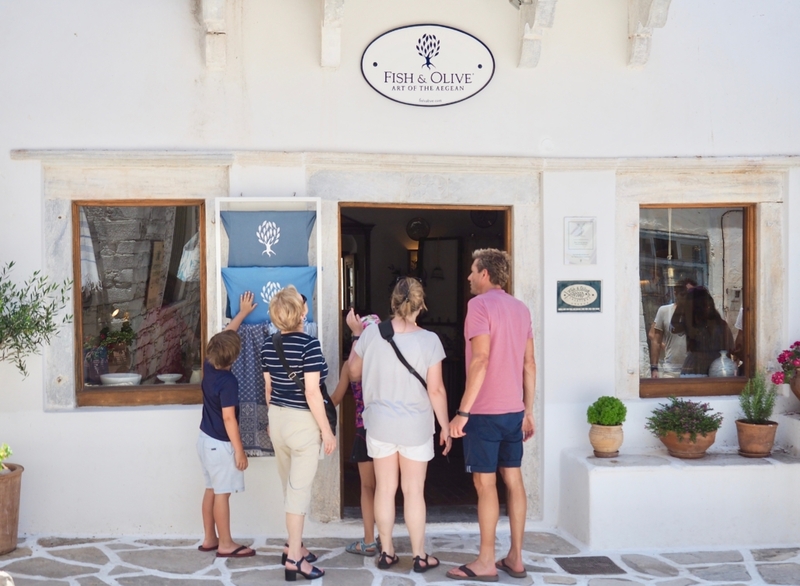 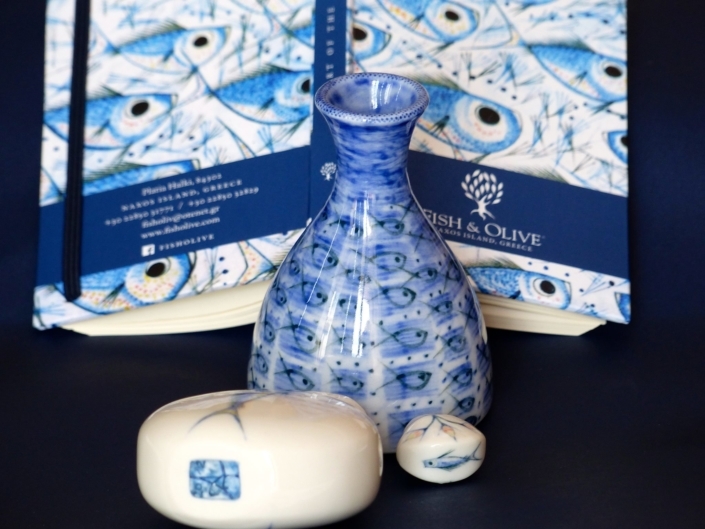 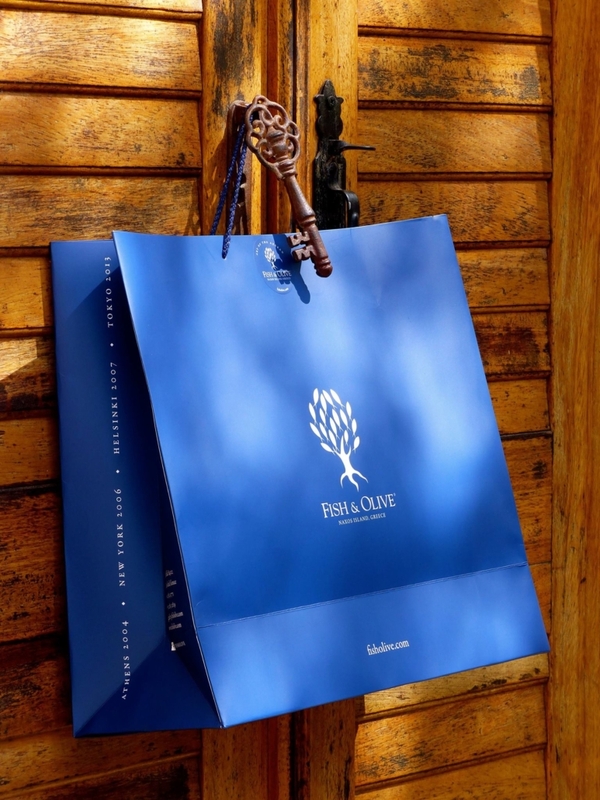 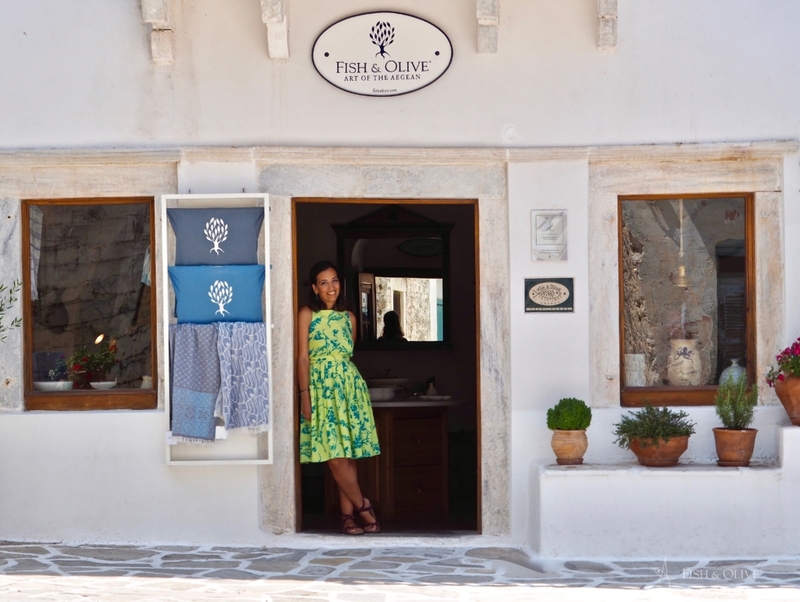 The boutique outlet for the Fish & Olive brand is located at the heart of Halki a few steps away from the Fish & Olive Gallery. 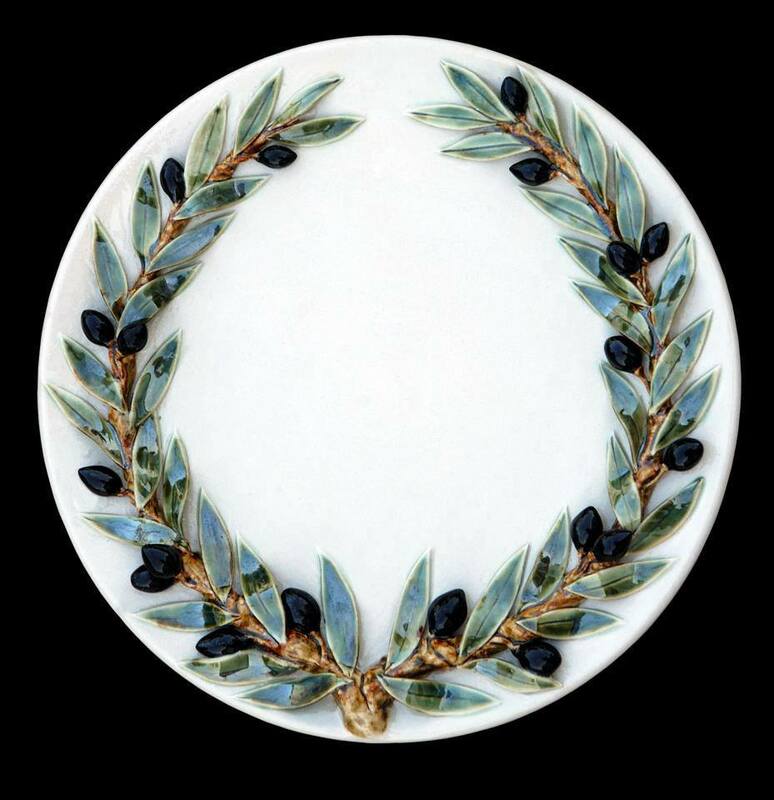 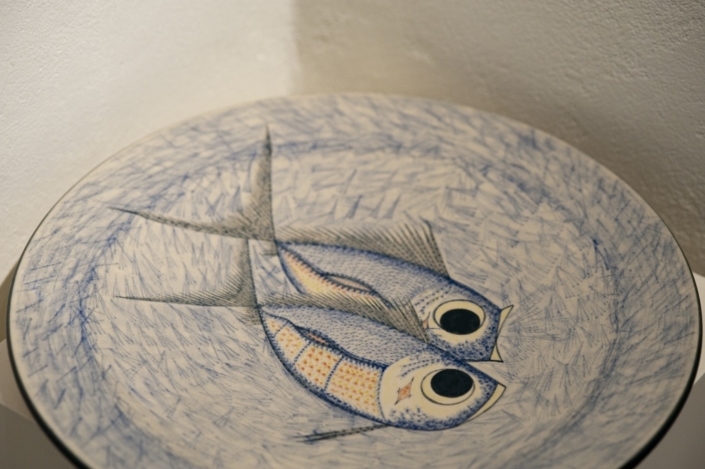 The boutique stocks the exclusive ceramics of Katharina Bolesch and the jewellery of Alexander Reichardt. 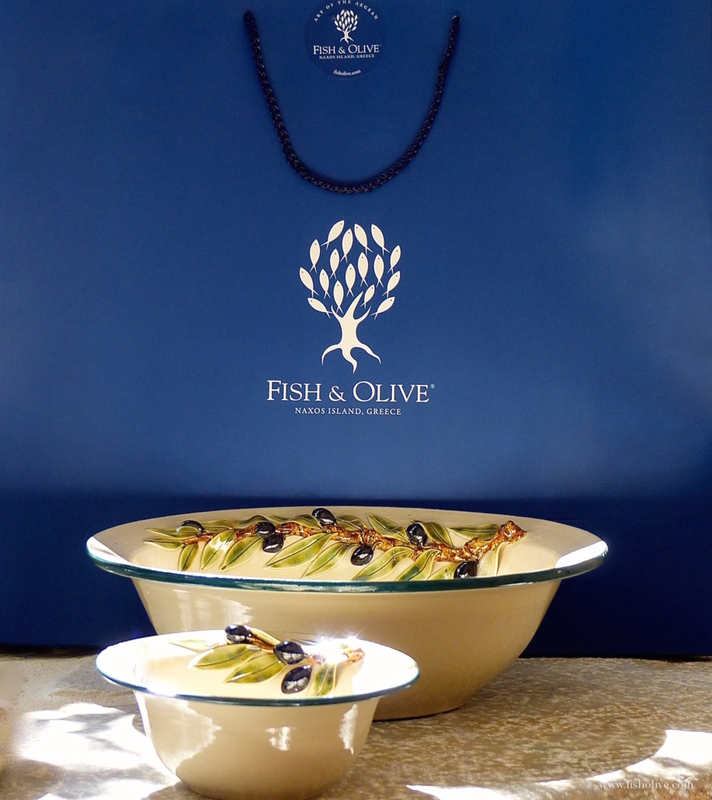 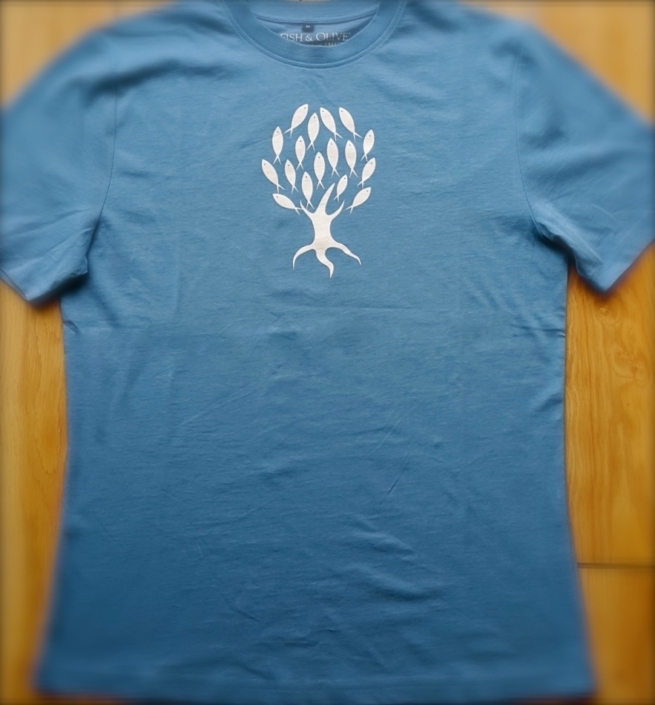 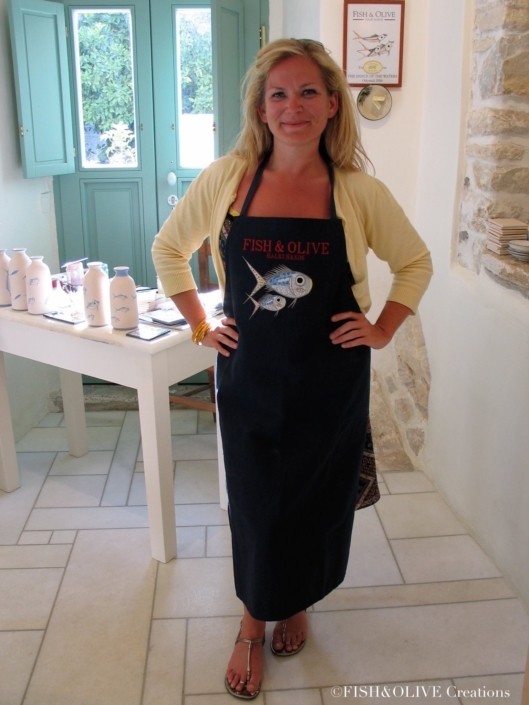 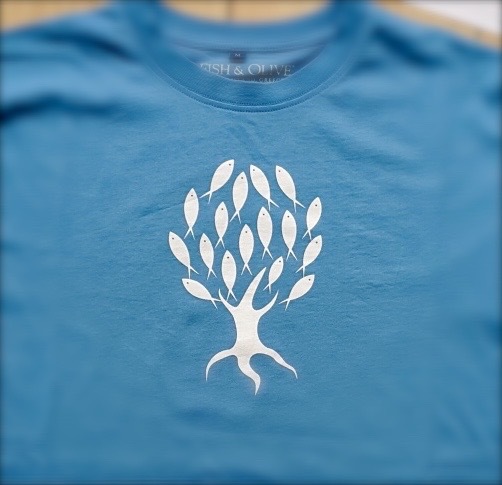 Also available are exclusive olive wood products as well as finest quality cotton T-shirts and cookery aprons featuring Fish & Olive design motifs. 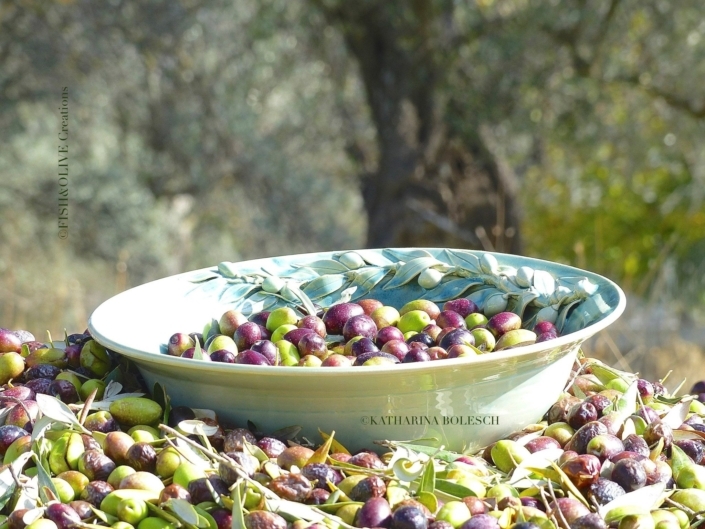 The boutique is also the exclusive outlet in the Cyclades for the award-winning extra-virgin olive oil produced by the Mercouri family from their biodynamic olive groves in the Peloponnese. 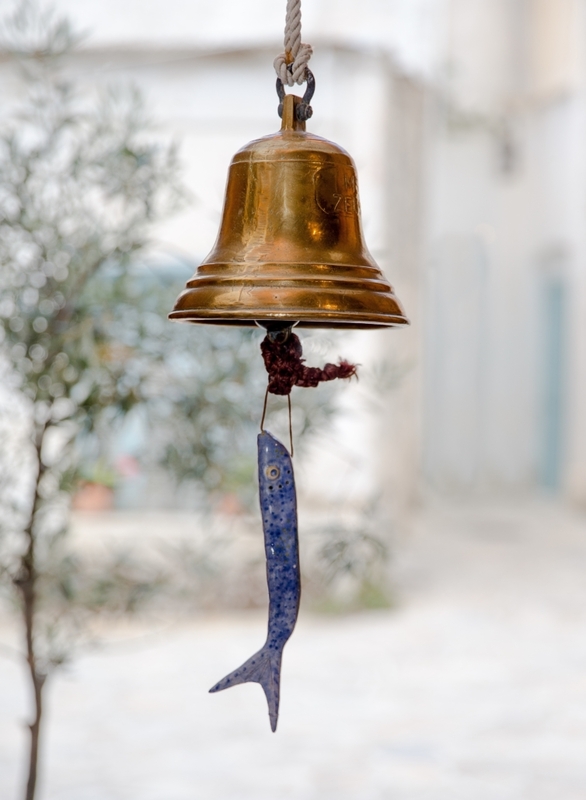 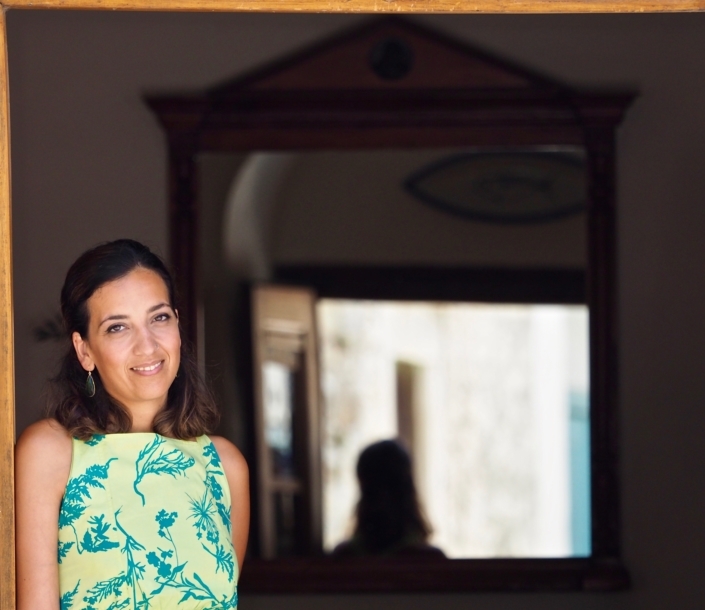 The art potter Katharina Bolesch and the jewellery designer and craftsman Alexander Reichardt live and work in the village of Halki on the Cycladean island of Naxos, where their workshop, gallery and boutique, operate under the international name, Fish & Olive – Art of the Aegean.